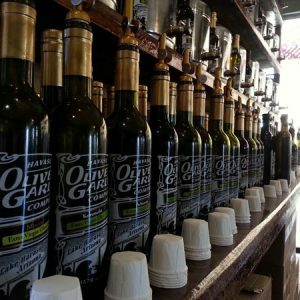 Havasu Olive Oil and Garlic CompanyHavasu Olive Oil | Havasu Olive & Garlic Co. This is THE Star! Literally we are the only company in the world producing this wild oil. From the Famed Barbary Coast of North Africa (ask a Marine), delightful with a tremendous nose up front and a very satisfying sting at the end. Fragrant is almost not enough to describe. The process requires more than 1.5 pounds of fresh whole organic green Baklouti chilies to every pound of olives and then crushed and fused in our malaxers on site in Tunisia. What it does with Salsas is quite, quite nice but on my morning eggs and in particular our Huevos Rancheros…stellar! This is a HOUSE FAVORITE! Our Italian friends are famed for their love of the Blood Orange, The full bodied sweetness is a staple in many traditional Mediterranean dishes adding special notes to pastas, red sauces and in salads. Do not however limit it that as you’d be missing out on the tang when added to baking cookies, cakes and brownies (OMG in brownies!). As a salad dressing, mix with our outrageous Cranberry Pear White Balsamic Vinegar or pour over Green Peas or Italian Broad Beans instead of butter. Paired with Dark Chocolate Balsamic Vinegar…Ridiculous! Young, early harvest, Tunisian green lemons are picked at THE moment of highest aroma and flavor, then crushed with very green olives. The resultant concentrated pungent fusion is powerful and worldly unique. 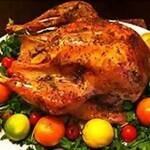 Ideal for fish or fowl, salads, veggies and more. Pair with our Peach White Balsamic Vinegar for a stellar marinade for Ahi, Salmon, Scallops and particularly for them Shrimp headed for the Barbee. Grilled Fruit…oh yes! Our Agurmato (Fused) Lemon olive oil is produced by pressing whole, fresh lemons together with late harvest olives at the time of crush. Its light, citrusy flavor is perfect for sauteing shrimp or scallops. 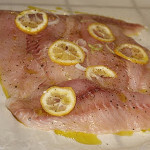 Try drizzled over a salad or for added flavor when finishing chicken or fish. As a less aged balsamic, our Premium White retains the ideal acidity and tartness to magnify the flavors you want to highlight in your dishes, finishing with just a hint of sweetness. Mix with any of our olive oils to enhance their unique flavors, or add to citrus juices like lime or lemon to reduce the need for other seasonings like salt. Smaller Manzanilla Olive hand stuffed with a special Anchovy paste. An interesting flavor battle. Wicked good sliced on home-made pizza. May contain pit fragments. Chilean Arbosana Clean, slightly floral & buttery with a nice peppery finish and ample bitterness. Clearly displays savory notes of creamy artichoke. Crushed in early June and representing a smaller lot production, this was the finest example we could find after performing sensory evaluations on dozens of Chilean Arbosanas. Baby Spinach and Garlic in a blend of Artichoke and aged Romano Cheese. 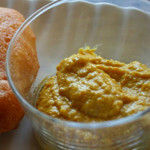 Smooth and elegant, one of the most popular dips and spreads. Round like a meatball and green like a frog these pickled Brussels sprouts are positively “killah” in a Blood Mary, Dirty Martini (aka Frog-tini) or as that je ne sais quoi addition to a pasta salad. Not to be confused with Rocky Mountain Oysters, Papa Stapes will tease shoppers by telling them that the scream they hear out in the desert late at night and think is a coyote is actually him harvesting frog balls. Dilly and Spicy. Classic Buttermilk tang with a hint of Cayenne set the pace on this full flavored dressing with bits of parsley real bacon, celery and carrot. 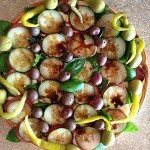 Why Havasu Olive & Garlic Company? From tree to tap, we work closely with a west coast family who has been in the olive oil business for over 100 years. This parent company goes above the International Olive Oil Council testing standards to provide the highest quality and freshest Extra Virgin Olive Oils. 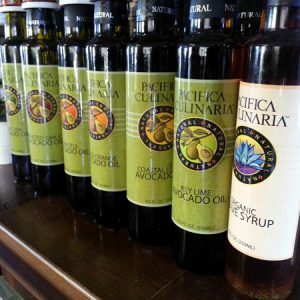 All of our olive oils, specialty oils and vinegars are organic, all-natural, with no artificial additives or flavor enhancements and are Non-GMO Project Verified. Being able to work closely with the farms, not only guarantees you are consuming the freshest oils and ingredients, it also allows for better knowledge of farming methods, including when the olives are harvested and the date they are crushed. Once we receive our batches of oils or vinegars, we house them in stainless steel fustis. These special containers help preserve the quality and freshness of the products until they are ready to be bottled. Yes, we bottle everything in house! Our iconic bottles are specialty formatted to keep out light, preserving the fresh product inside. We then take extra steps in ensuring our stock is rotated and stored in the proper manner. All of these extra steps are what allows us to provide you with super fresh, high-quality products!! 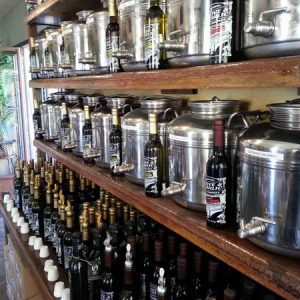 Why Buy Fresh Olive Oil? First, it’s imperative to understand the importance of buying Extra Virgin Olive Oil (EVOO). EVOO is the only form of olive oil that retains its natural phenols (antioxidants) and other active compounds. EVOOs are minimally processed, with no (other ingredients or) heat (termed “Cold-Pressed”) during extraction, allowing them to maintain their natural health benefits. High in antioxidants, antibacterial properties, oleic acid (anti-inflammatory nutrient), monosaturated fatty acids and vitamins, EVOO can aid in heart health, help fight cancer, prevent diabetes, reduce symptoms of arthritis and so much more. 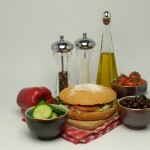 Unfortunately, olive oil is one of the top adulterated foods. Food adulteration is the process in which the quality of food is lowered, either by the addition of inferior quality material or by extraction of valuable ingredient(s). It not only includes these intentional additions or substitutions of the substances but also the biological and chemical contamination during the period of growth, storage, processing, transport and distribution of the food products, which all contribute to the lowering or degradation of the quality of the food products. 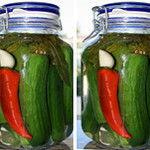 This ultimately can make the product not fit for human consumption. To further the issue, the FDA does not regulate these products, including olive oil, which are sold from overseas to the United States. 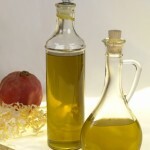 The vast majority of foreign “extra virgin” olive oil sold in the US has been found to be Canola Oil with food coloring. It has also been estimated that over 80 percent of imported EVOO sold in the United States is fake and what is in the container is not accurately described on the bottle or the nutrition label. This means you are not getting any of the nutritional benefits of EVOO. Although our Extra Virgin Olive Oils are sourced from all over the world, our parent company works closely with these independently-owned organic farms. We not only know the Country of Origin for our EVOOs, but also the chemical composition, crush date and the taste panel assessment. Our EVOOs are then used to make our Infused and Agrumato (Fused) Olive Oils. Because these Olive Oils are mixed with other natural ingredients, they are no longer considered to be an Extra Virgin Olive Oil. Meaning we can’t technically call our flavored olive oils “Extra Virgin,” but they still have the health benefits and nutrients of EVOOs. In summary, buying fresh olive oil ensures you are buying a superior product containing all intended health benefits. To know you are buying fresh olive oil, be sure to know when the olives were crushed, chemical composition, approximately how long ago the oil was bottled and if it was properly stored. If this information is not readily made available, the next best option – being able to taste it! !